Rapids Landing was a new private residential estate situated in the heart of Margaret River, located about 3.5 hours from Perth. Approximately 2km from Margaret River town centre, Rapids Landing is at the heart of the wine region and close to beaches, restaurants, parks and schools. Set among sustainably developed parks and walkways, the estate is fast being hailed as one of the most environmentally pro-active land developments in WA. 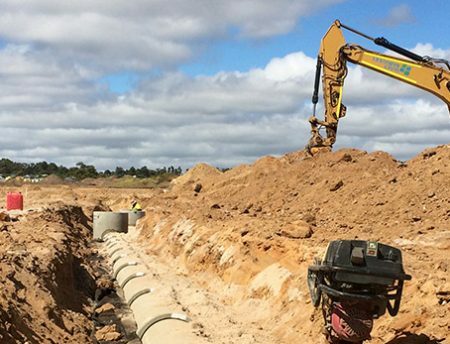 Leeuwin Civil was responsible for all aspects of site preparations, incorporating bulk earthworks; road construction; installation of a 300mm diameter sewer with plastic manholes; 150mm sewer reticulation; stormwater drainage; subsoil drainage; irrigation pipework; power; gas; water; and comms. 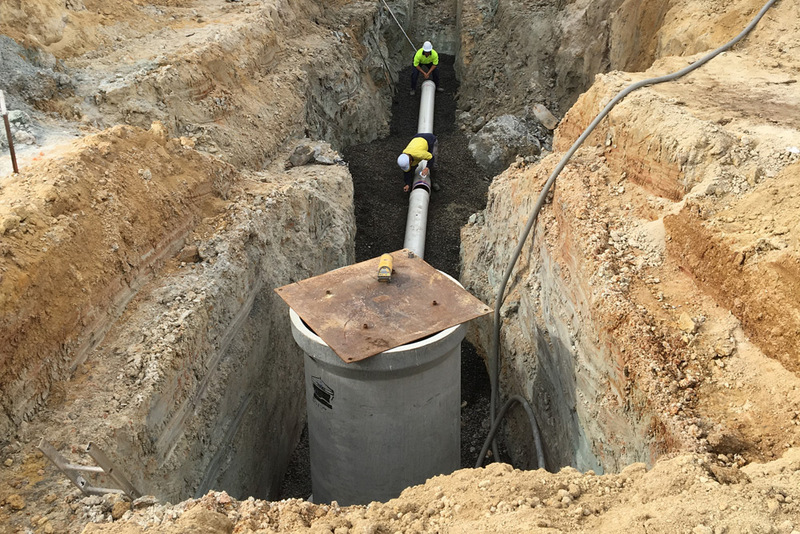 During works, previously undetected hard rock was encountered leading to delays whilst the Client engaged drill and blast contractors to remove it. Leeuwin Civil worked with the Client’s two drill and blast contractors over the subsequent six months to assist in the removal of the rock. 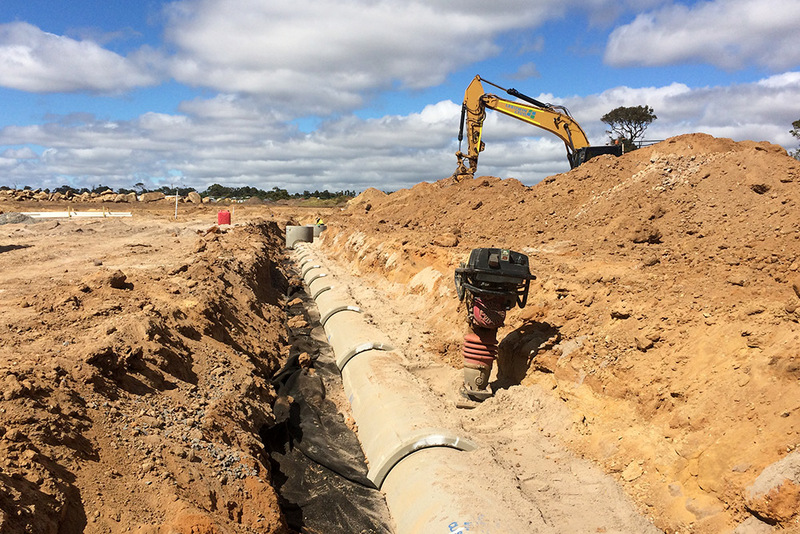 The project was ceased for three months with Leeuwin returning in January 2017, and works were completed in May 2017.
irrigation, gas, power and comms.